Welcome back, darlings! 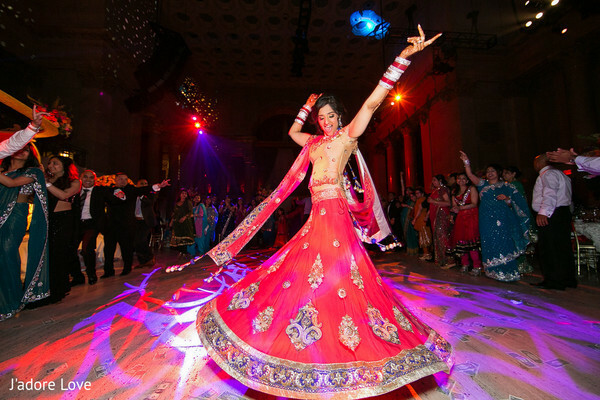 J'adore Love brings us lots of fierce fabulousness at this New York Indian reception, which takes place at the upscale Cipriani ballroom! I mean, wow! 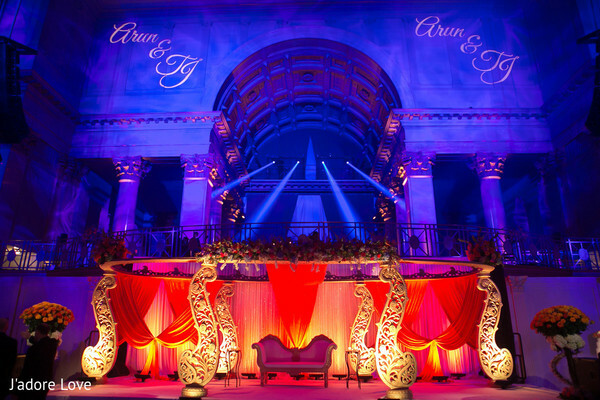 The Greek architecture is amazing and the venue features a 70-foot ceiling with a Wedgewood dome! So, how to you take a gorgeous, existing space and turn it into something even more sensational? 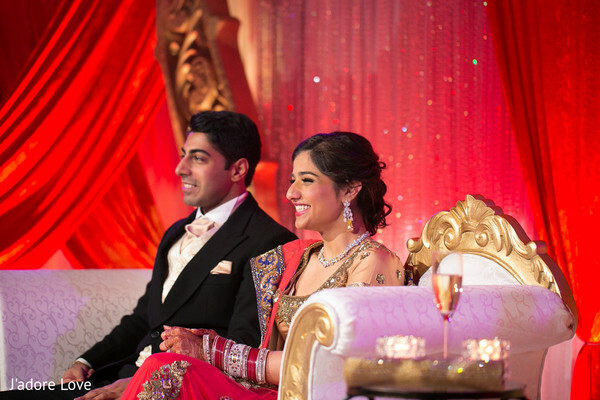 You hire a planner and designer like Touch of Elegance to turn your wedding day dreams into a breathtaking reality! Speaking of breathtaking, can we please talk about the decor?! 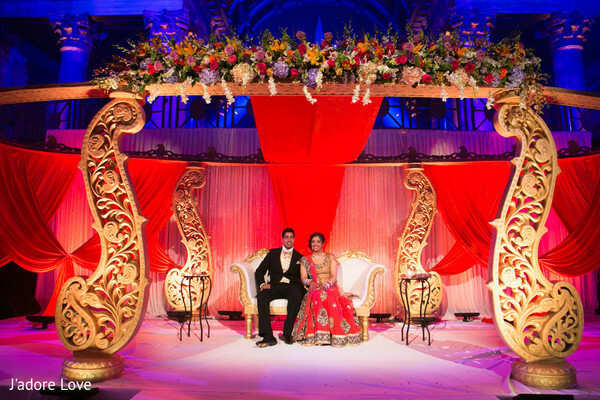 House of Dipali outdid themselves with staging! That sweetheart stage is sensational! 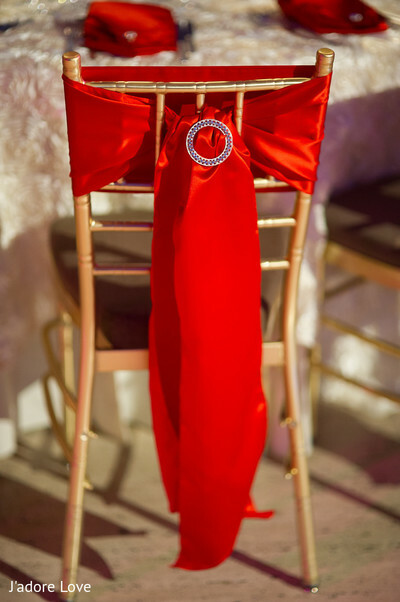 Who wouldn't feel like royalty sitting on that throne?! 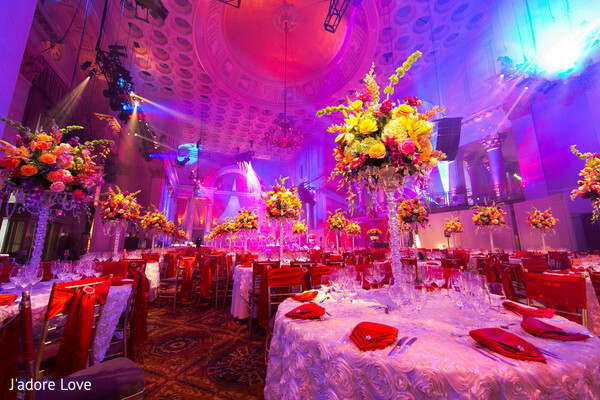 And I can't help but go ga-ga over all the vibrant floral arrangements that we have Flowers by Brian to thank for! They just make the entire room come alive! And check out the newlyweds cutting a rug on the dance floor! 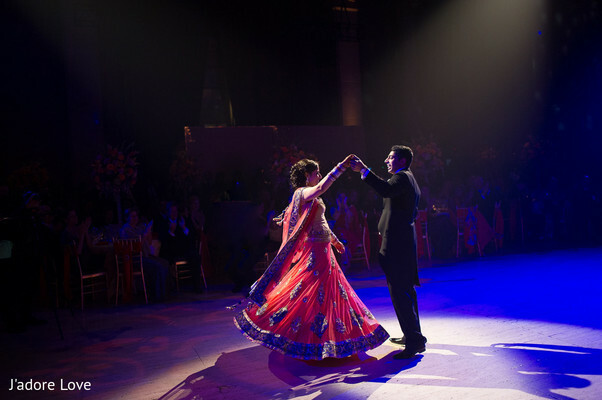 Did I not tell you that Maharani TJ's lengha is amazing? Especially as she does a little spin! I hear everyone danced the night away to the booming beats of DJUSA — who brought the house down! 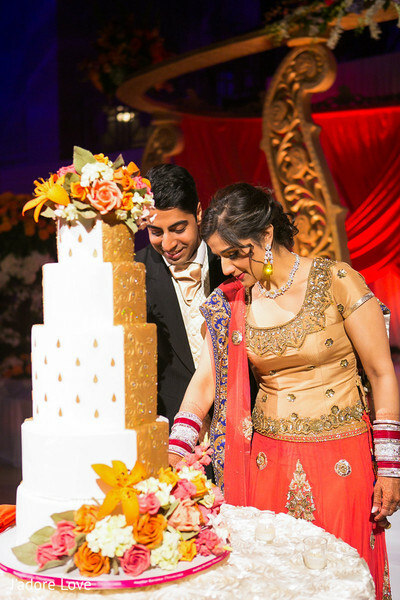 I'm sure they had to dance off all the mouthwatering treats provided by Devi — who always delivers the best in catering! See it all again from start to finish in the gallery!